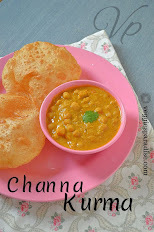 Pressure cook the chana with a pinch of salt for 3 - 4 whistles. Drain and reserve the excess water ,take 1/2 cup of cooked channa,grind them coarsely and keep it aside. Heat oil in a pan. Add all the seasoning ingredients, fry for a min. Add chopped onions ,fry them until they turn soft.Stir in the ginger- garlic paste and mix well.Add the capsicum and cook until tender, make sure that you don't overcook it. Tip in the cooked chana and potatoes , saute it for a while . 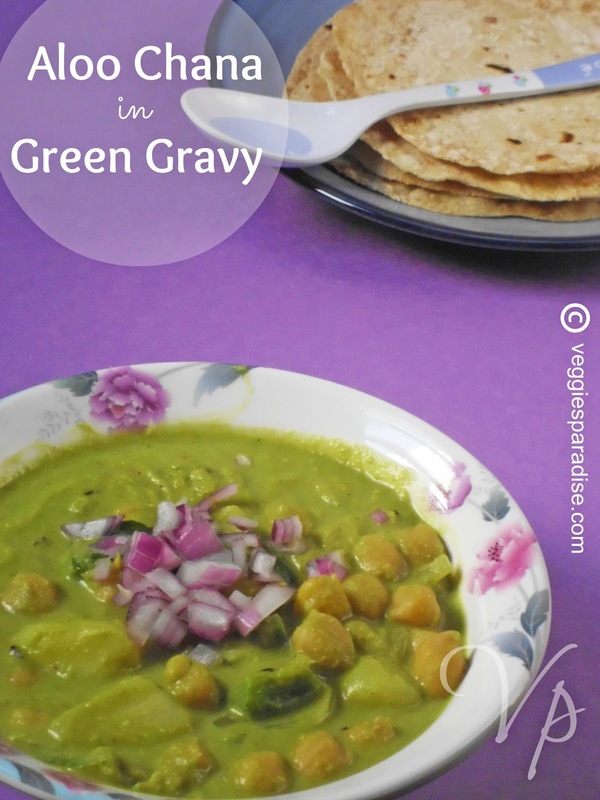 Pour the grinded gravy, add salt, turmeric powder and stir them slowly on medium flame. Add the grinded chana paste ,add 1 cup of reserved water,that was used to cook the chickpeas and bring it to boil. (Adjust the water according to your consistency ). Reduce the heat and cook until the raw smell of the gravy goes off. Finally add the lemon juice and remove from heat. I like the colour of the gravy, looks very creamy! Beautiful combi of the curry and the contrast lavender. looks very nice and delicious. Love the combo. Love the flavor of mint with coriander. Yummy side for chapatti. Love the color of the dish,so yum. wow, can have this anytime. Colour of the gravy itself is very pleasing,quite a healthy and delicious gravy,love with rotis. love the colour of the gravy,looks very tempting!! like the color and healthy combo pack..
We make this at times too! Certainly a variation from the common channa masala. 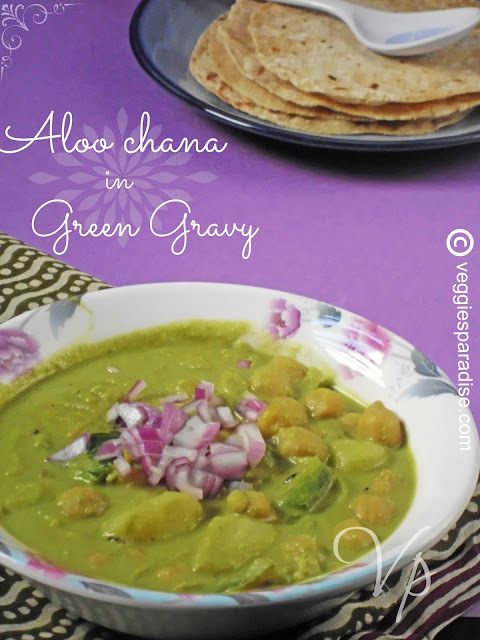 Nice green colour, looks really mouth watering..
Nice twist to usual channa masala..I like the pleasant green colour!